Early On (1964-1966): USA; Rhino; R4 70526; 1991. Cover photograph with pink with white spine and rear panels; six concertina panels on treated, folded paper with lengthy notes on the period and recordings by Julie C. Stoller. Track list on rear; inner and inside inner panels. White ink printed onto clear shell with shaped slip sheet; ‘Rhino’ and ‘Dolby HX-Pro’ logos on shell. The track list is the same as the original CD. 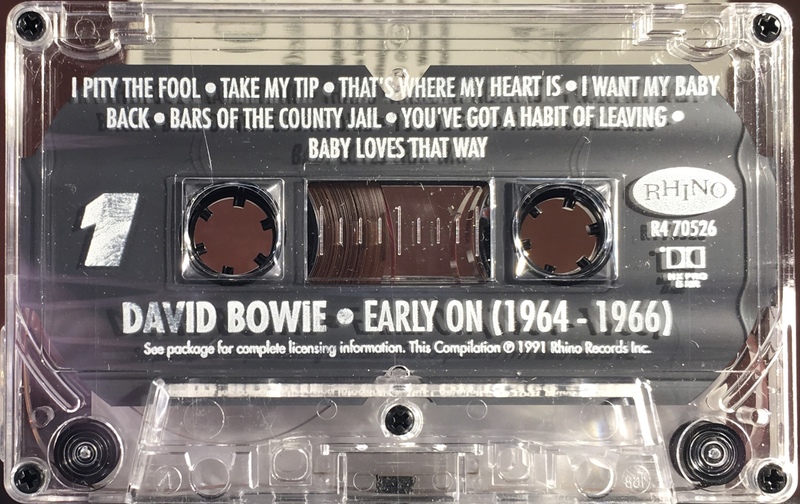 Side 1: I Pity The Fool; Take My Tip; That’s Where My Heart Is; I Want My Baby Back; Bars Of The County Jail; You’ve Got A Habit Of Leaving; Baby Loves That Way. 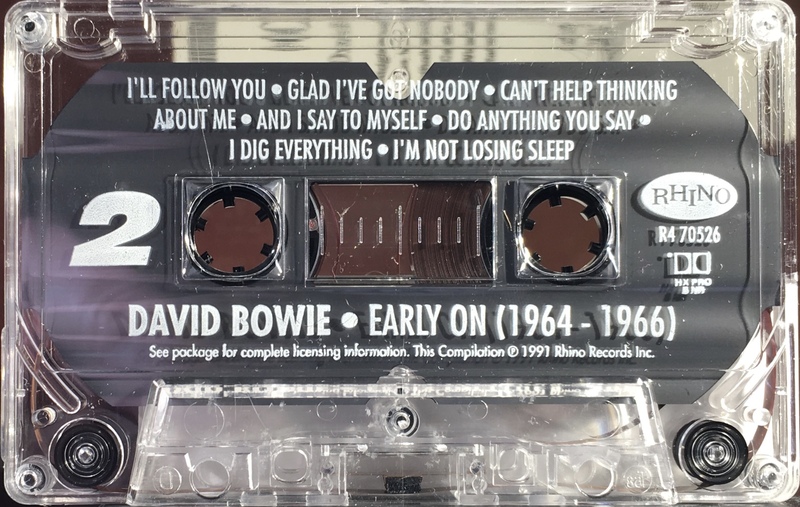 Side 2: I’ll Follow You; Glad I’ve Got Nobody; Can’t Help Thinking About Me; And I Say To Myself; Do Anything You Say; I Dig Everything; I’m Not Losing Sleep.